In 1949, Bishop Constantine Bohachevsky appointed the first priest to organize Holy Family Parish in Washington DC. in a desire to meet the spiritual needs of the Ukrainians moving into the Washington Metropolitan area. Prior to that, the nearest other Ukrainian parishes were in Baltimore, Maryland and Manassas, Virginia. On the recommendation of Rev. Vladimir Wozniak, first pastor, Bishop Bohachevsky approved naming the parish in Washington as Holy Family Parish. Rev. Wozniak explained – to overcome all the difficulties in organizing a new parish, and accommodating the displaced persons who were arriving in the Nation’s Capital, he had a special devotion to the Holy Family – and Holy Family it was named. 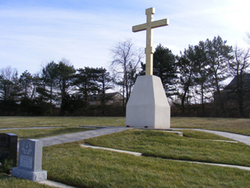 The parish grew and over the next 30 years relocated its premises four times until it finally built a monumental church on 3 acres of land overlooking the Roman Catholic (now Basilica) National Shrine of the Immaculate Conception. On June 26, 1975, Metropolitan Ambrose Senyshyn wrote a letter to then pastor, Rev Stephen Shawel, C.Ss.R. stating “It was a pleasure for me to hear that Holy Family…acquired.. a site for the building of a new memorial church… We, therefore, believe that the faithful…will want to see in the Capital of Washington a monumental Church of God”. 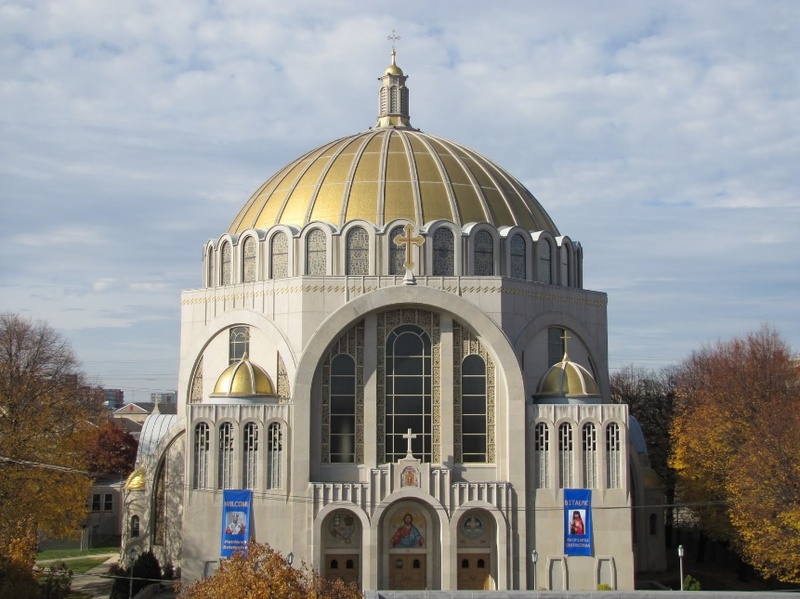 On November 9, 1977, Bishop Basil H. Losten, the Apostolic Administrator of the Archeparchy of Philadelphia wrote: “I hereby concur …to name your building project – “The Ukrainian Catholic National Shrine of the Holy Family”. 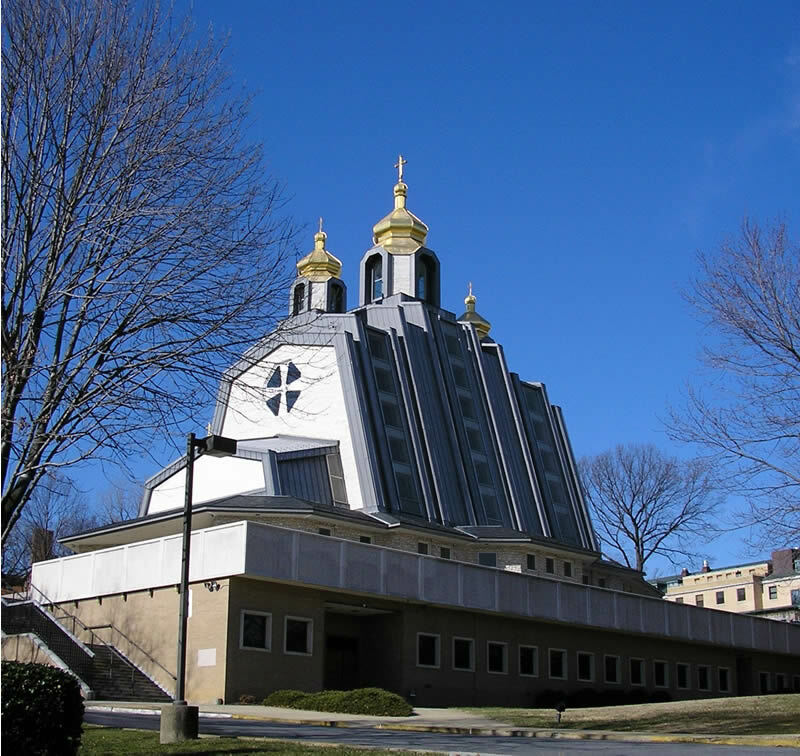 The Ukrainian Catholic National Shrine of the Holy Family in Washington DC has become the visible presence of our Ukrainian Catholic Church in our nation’s capital. 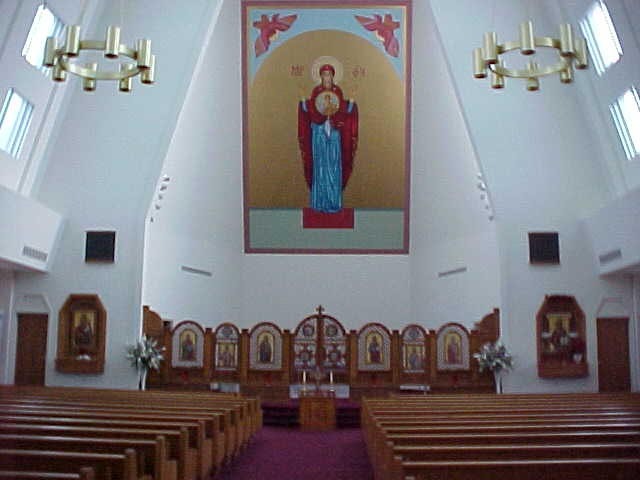 It has become every Ukrainian Catholic’s church when they visit Washington, DC. It is dedicated to the Holy Family, Jesus, Mary and Joseph, and serves as a place of worship, pilgrimage, evangelization and reconciliation. 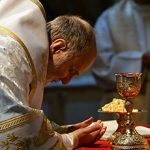 It offers visitors the occasion for a deeper understanding of the Ukrainian Greek-Catholic Church, one of 23 Eastern Christian particular churches sui iuris in full communion with the Pope in Rome, as part of the worldwide Catholic Church. 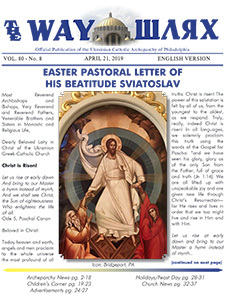 This monumental church, raised with the help of Ukrainian Catholics in the United States, gives visibility to our faith, heritage and traditions. – The Shrine hosted President Ronald Reagan on July 24, 1987 for a luncheon. – Holy Family has hosted the 4 most recent Spiritual Fathers of the Ukrainian Catholic Church: His Beatitude, Josyf Cardinal Slipyj, His Beatitude, Myroslav Cardinal Lubachivsky; His Beatitude, Lubomyr Cardinal Husar; and His Beatitude, Sviatoslav Shevchuk.